Customizable interfaces that's what we love. Users today spend a large part of the day staring at the same screens, sometimes they want a change but there's not much to have. Microsoft Vista, window operating system's new avatar, did come out with a lot of that stuff - but it turned out to be something that doesn't go smoothly on your average computer. The result is that many, including me, are now choosing to use the older Windows XP. Seeing the problems in Vista, we are learning to appreciate the relative stability of WinXP, it's compatibility with nearly all popular software products, and ability to get the job done without too much fuss. Yet, there's still much left to be desired. 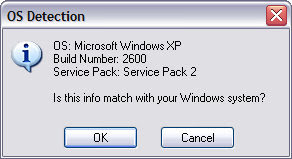 This blog is about the limited 'themes' in WinXP. By default, you'll find that out-of-the-box you get only 3 themes in WinXP - Windows XP, Windows Classic and 'My Current Theme'. Not very inspiring. 'M themes online...' link never leads anywhere useful. Now since Microsoft is not very helpful, we end up seeing third party software such as StyleXP. Many of these are not free, which these days is means unusable. Some have custom software to do the configuration. Ideally one should just be able to get themes online and set them using the default WinXP setup shown above. Unzip this to get the file UXTheme Multi-Patcher 5.5.exe. Run this program. This edits the Windows dynamic link library file uxtheme.dll, so that it can accept theme files that have not been signed off by Microsoft, otherwise any other theme files will not be recognised. To restart the computer after install, click OK. Make sure any unsaved work on your computer is saved before doing so. If you are uncomfortable with patching your uxtheme.dll file, note that running this program again will un-patch the file. You can find WinXP themes at varous online locations such as - here and here. Then double-click on the file *.theme and it will open in the standard Display properties window shown above. Choose the theme and click 'Apply'. Thanks for that. Desperately needed a darker theme this evening and belchfire was the place to find it.